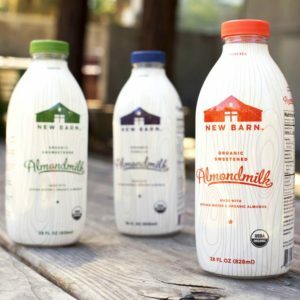 New Barn Almondmilk (Review): Organic & Dairy-Free! There has been a rapidly increasing demand for convenient “clean” foods, and New Barn Almondmilk has stepped up to the challenge. First, what is New Barn Almondmilk? 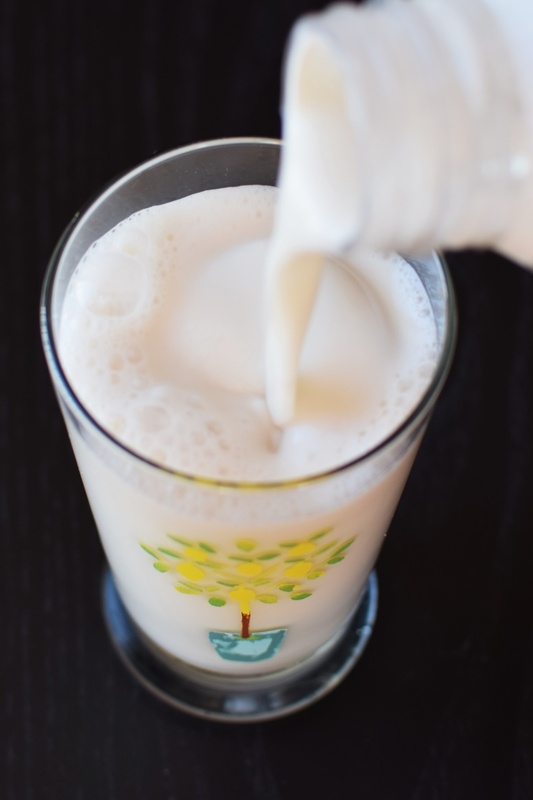 This dairy-free milk beverage is made with just four to six ingredients. The Unsweetened contains only spring water, organic almonds, organic acacia gum, and sea salt. For the Original, add a touch of organic maple syrup to that list. 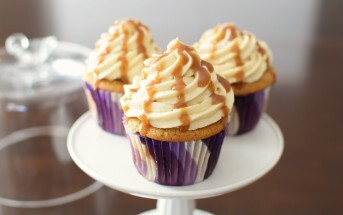 For the Vanilla, organic maple syrup and organic vanilla extract pump up the flavor. There is no carageenan or fortification of any kind in New Barn Almondmilk. 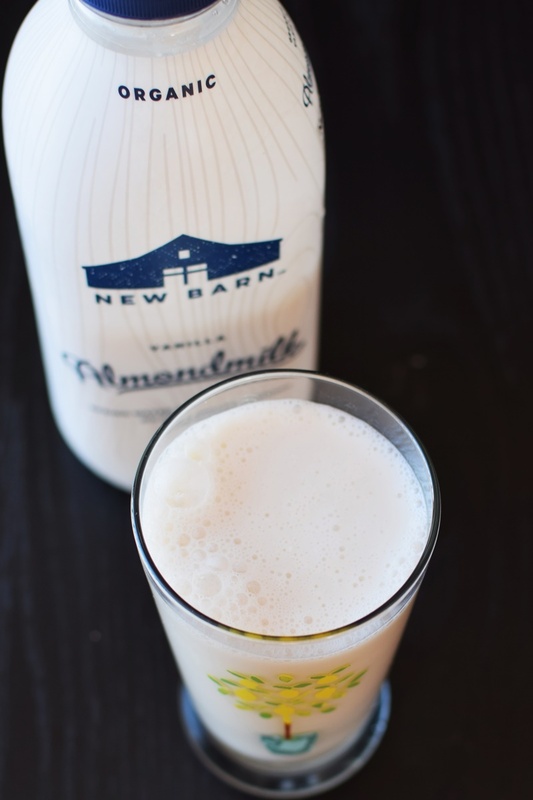 Since acacia gum (the sap of the acacia tree) is the only stabilizer used in New Barn Almondmilk, the consistency to taste isn’t as seamless as you might expect if you are used to regular store-bought, dairy-free milk beverages, or even on first glance of the almond milk. It does have a very creamy consistency overall. But like homemade nut milk, there is a bit of chalky residue in the aftertaste, otherwise known as real almond. This may be off-putting if you are used to the very fluid and polished processed milk beverage brands. But it could be a welcome natural bonus if you love the earthiness of homemade. Though void of fortification, a serving of New Barn Almond Milk naturally contains 6% of the RDA for calcium and 8% for phosphorous. Magnesium is rarely listed on the nutrition facts, but by my estimates, it likely contains about 10% of the RDA. This balance of calcium and magnesium is a bone-building combo (from the research I’ve read), that I don’t see often enough in milk beverages. As I eluded to, New Barn Almondmilk is very rich in taste. From the almonds, it contains 8 grams of fat, 3 grams of protein, and 2 grams of fiber. These macronutrient ratios are almost unheard of in the processed milk beverage world. But what surprised me most was the scent. My senses were greeted with a sweet almond smell that was so intense, I could have mistaken it for almond extract. Fortunately, the taste was more mildly almond and a bit refreshing, despite the thicker pour. The Unsweetened has just 1 gram of sugar, and was consequently a very neutral, almost savory, canvas of flavor. The Original has 7 grams of sugar, and was notably sweeter but not still mild and enjoyable. I wouldn’t have guessed maple was the sweetener either, as the taste was still quite simple and pure. The Vanilla also has 7 grams of sugar, but the extract tames the almond scent and flavor a bit and ups the natural sweetness and indulgence just a bit. Personally, I really liked New Barn Almondmilk in my smoothies. 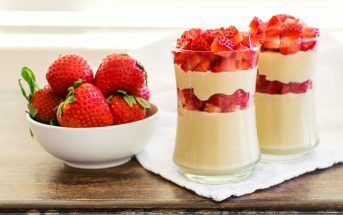 I prefer them thick and creamy, and this addition really gave them more body and pleasant flavor without adding any unwanted ingredients. It also worked perfectly in recipes. I used it for baking both sweets and savories, and it provided a little more oomph than average milk beverage. It’s pretty good in hot cereal, too. For cold cereal, I wasn’t in love with the almond residue, but it wasn’t bad. I also tried New Barn Almondmilk in hot tea, and although it doesn’t disperse as seamlessly as some dairy-free creamers, it wasn’t bad, and did tame the flavor while adding a little body. Milk beverage isn’t something I would usually drink straight up (I’m a water and tea girl!). That said, this brand was definitely too rich and rustic for me to sip on. That said, I think it will be amazing in winter hot cocoa. Note that New Barn Almondmilk is sold chilled, since it’s so fresh, but it is smaller in size than many other brands. It is just under a quart. And it is more expensive than processed dairy-free milk beverage, but much less expensive than several of the “fresh” nut milks, which I think it is more directly competing with. To give you another quick taste, we made a very short video of the pour for Instagram. Certifications: New Barn Almondmilk is Certified Organic, Certified Kosher Pareve, and Non-GMO Verified. 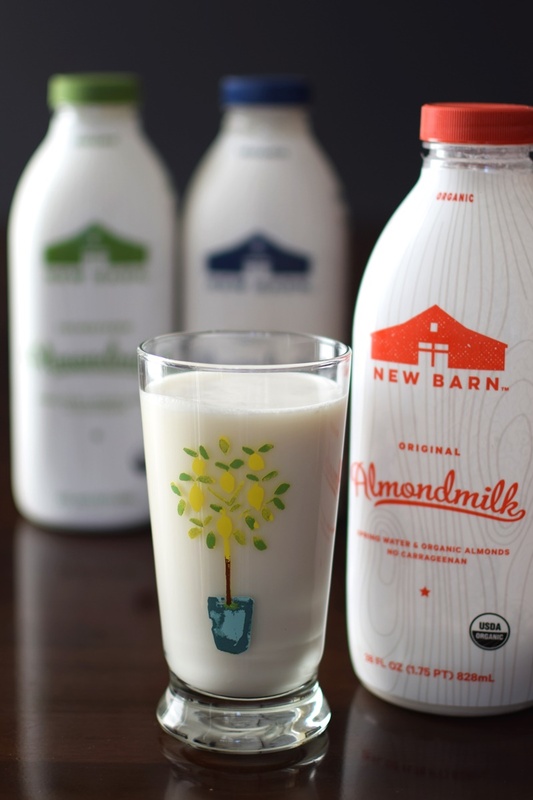 Dietary Notes: By ingredients, New Barn Almondmilk is dairy-free / non-dairy, egg-free, gluten-free, grain-free, peanut-free, soy-free, vegan, plant-based, and vegetarian. Nonetheless, read the label and check with the company on their manufacturing processes before consumption if potential allergen cross-contamination is an issue for you. Processes and labeling are subject to change at any time for any company / product. For More Product Information: Visit the New Barn website at www.thenewbarn.com. I have bring trying to go off dairy and have struggled for Years trying to find something close to real milk for my coffee. Just tried for the first time. It doesn’t get much more pure than this brand. The base flavor contains just spring water, almonds, acacia gum and sea salt, with no carageenan, fortification or other funny business. Consequently, the taste is very natural with a fresh almond scent and lightly nutty flavor. It’s very rich, so I don’t really think of it as a “straight up” drink. But I loved it in smoothies, baking and it holds promise in hot beverages. However, it should be noted that there is almond residue (it’s natural remember! ), which is notable in the aftertaste consistency. We just got some of the unsweetened New Barn almond milk. It has an off taste. Like unripe almonds or something. We eat raw almonds all the time & can’t figure out why it tastes odd. We did try adding a chocolate protein powder w/ dark cocoa & some stevia/sugar mix but it didn’t hide the taste much. Is it normal to be chunky when you poor it into tea? I don’t think so! You should contact the company about that. Many brands like this one need to be shaken, but chunky is another story. Just tried their new barista brand and love it! I make my own almond milk but because its a chore this is such a great alternative. And i love to drink it straight, not to thick for me LOL. That’s fabulous! thanks for sharing Mo, I hadn’t seen that version. Is it normal that it looks and tastes like a kefir? My son made a shake with this new milk today now he feels nauseous and has a stomach pain. Did anyone else experience the same problem? Yikes, I don’t think so! Hi Anya, we’ve not affiliated with New Barn. This is a third party review and I do note in my review above that there isn’t fortification in it. That said, it does have some calcium naturally from the almonds, it isn’t completely void of it. Some brands aren’t fortified, and they’re all fortified differently, so it is best to look at the label. Silk tends to have higher fortification levels of calcium than most, if that is your goal. I’m so excited to see your brand at the Chicago whole foods location! I was so excited to froth some for a tonic I was making but when I poured it out it was chunky 🙁 So I opened a second bottle and that one too was chunky. I understand there’s a stabilizer in the milk so I shook it up real well and was surprised to see little clumps. The date is good, it smells good and I even tasted a little and tastes fine but won’t drink it unless you tell me this is normal for your product. I also called and hope to hear back from someone because I’d really like to use it now. I’m not affiliated with the brand, so I can’t step into their arena to tell you if that is normal or safe. You can reach them via their website at http://www.thenewbarn.com/ – I hope it works out! I’m partial to my fav So Delicious but recently started also buying Ripple as the girls love it and it’s a great way to get in protein. I’ve seen these, and their ice creams but haven’t tried them yet, I guess now I’ll have to. I just hope this doesn’t mean we will have to have more than 4 milks in the fridge at all times (an unsweetened Ripple, the Vanilla Ripple for lattes, So Delicious Unsweetened Coconut Milk and So Delicious Unsweeteend Almond Milk for cooking, soaking muesli, chia pudding, and smoothies. Right now we have 7 kinds of milk we really need to consolidate! 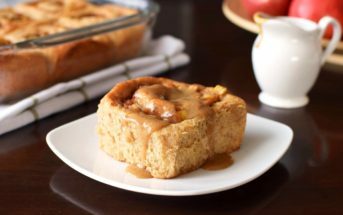 Love that it’s sweetened with maple syrup. Up to the present I have only used Silk Unsweetened Vanilla Almond Milk because all the others used careegenan which kills my stomach. How does this compare to the Silk brand? Is there any health difference or benefit? Thanks for sharing! Hi Gina, see all of my notes in the post above. I discuss the ingredients, taste, etc in detail so you can see if it is product that might work for you. I can’t really speculate on individual health benefits as everyone’s demands are different. But as noted, it is carrageenan-free and quite different from the traditional milk beverages. I adore New Barn’s almond milk!! When I’m too lazy to whip up a batch (and let’s face it, it’s a little too messy for an everyday batch) I always opt for New Barn or MALK. Both are great, affordable, and have a great taste and texture! That’s awesome Lauren! Thanks for sharing your thoughts on this. 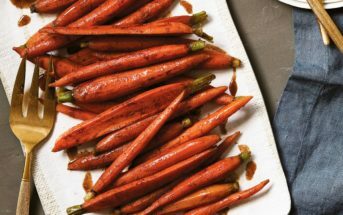 This looks like such a wonderful option if you are looking for something a little less processed! Going to have to look for it in the store. Thanks for the detailed review, I’ve never heard of this brand but I agree it sounds like it can be amazing in smoothies! Sounds like a great brand! I’ll have to look for it! I’m looking for some dairy free alternatives, I’ll have to give this one a try! We drink almond milk in our house. Can’t wait to try this. That looks so creamy, I’ll have to find it! It really is – richest milk beverage I’ve tried yet! u must mean non-dairy beverage? No sure what you mean here Gina. This brand is called “Almondmilk” all one word, not with “beverage” in the title. But yes, it would be comparable to dairy-free milk beverages, or as you refer to them, non-dairy beverages. I hope that helps! Oh wow, this sounds awesome! I’ll take a bit of almond residue over all those fillers and gums any day! I’ll have to watch out for this! ohhh i haven’t seen this brand yet, but I do love me some almond milk so I need to look for it! Yes, I think the ingredients are right up your alley Amanda!